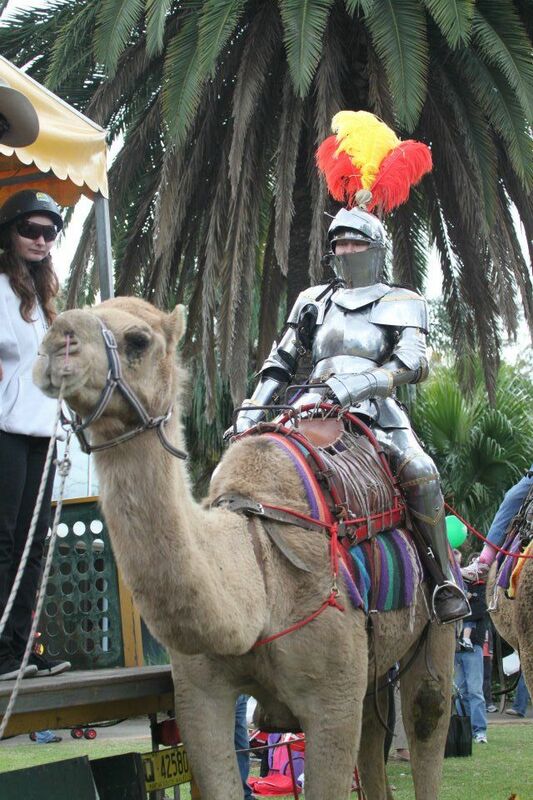 This is Australian jouster Sarah Hay riding a camel at the "Blactown Medieval Fayre 2012". Will camel jousting become the new trend? What do you think? You can see more pictures from the "Blacktown Medieval Fayre Jousting Tournament" here. I hope to meet her one day and it'd be an honour to tilt against her. Sarah is a huge role model for me and I love that she has fun with it too! Thank you for all the great posts about her and other Jousting women! Sarah is a fantastic person and is indeed a great role model. I hope to write more about her soon.